A bayfront stunner on Lake Rd. in Wildwood Crest. Cape May County's Wildwood Crest Borough sits snug between Diamond Beach and Wildwood proper. Unlike nearby North Wildwood, no one has suggested changing the name to establish a separate identity. Like neighboring Ocean City and Cape May Point, the borough is dry. Much of the luxury real estate available in the community makes up for it with entertaining spaces and built-in dry and wet bars. 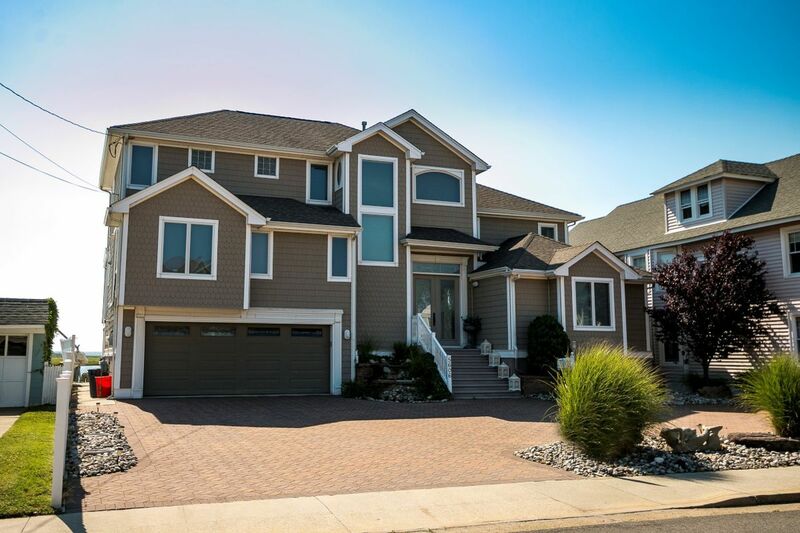 Tell me all about it: We love this bay front stunner with dual living rooms, dual master suites, and enough parking to accommodate your whole crew. Outside, the home features four large boat slips and multiple decks and patios. Tell me all about it: This four-bedroom penthouse unit at Coastal Colors gives buyers the beach-adjacent property without the responsibility of battening down the hatches in bad weather (or worrying too much about flooding on the top floor). We love the open floor plan inside and the wraparound deck with two retractable awnings outside. Bonus: If the sea breeze gets a little too chilly, there's an outdoor fireplace on the deck. Tell me all about it: Luxury finish checklist: private elevator, master suite with Jacuzzi, Viking appliances, ocean view, multiple private decks. This beach-block home includes each of these private amenities as well as community features including pools, hot tub, fitness center and game room. Bonus: the furniture comes with the deed!